It was unbelievable to realize that not only was the exquisitely grand château I stood in front of actually, at one time, was only a hunting lodge to a more expansive estate in the Brouilly Cru of Beaujolais, in France, but that it was acquired as a result of someone’s weakness for gambling. I stood there slack-jawed taking in the magnificence of Château de Nervers with the family owner Jean-Benoît de Chabannes, with dirt under his nails, hiking shoes on, looking every bit like a wine producer in the midst of the back-breaking work required during harvest time. 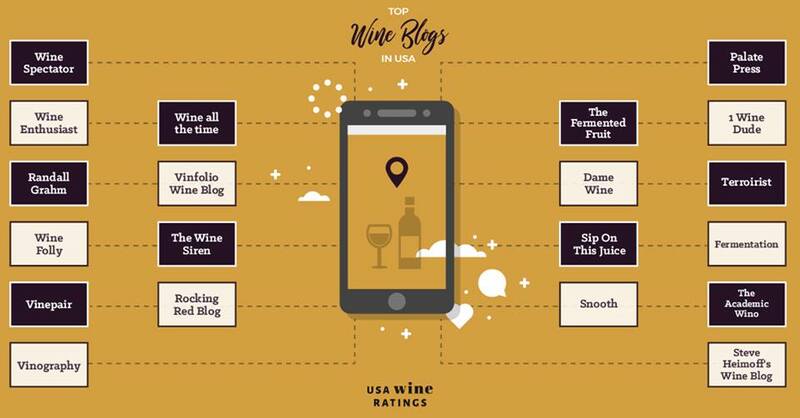 It was a direct contrast to the fantasy picture that such an estate would evoke – the reality of the work it took to keep it going, especially if one placed winemaking first, and everything else needed taking a backseat to that priority. 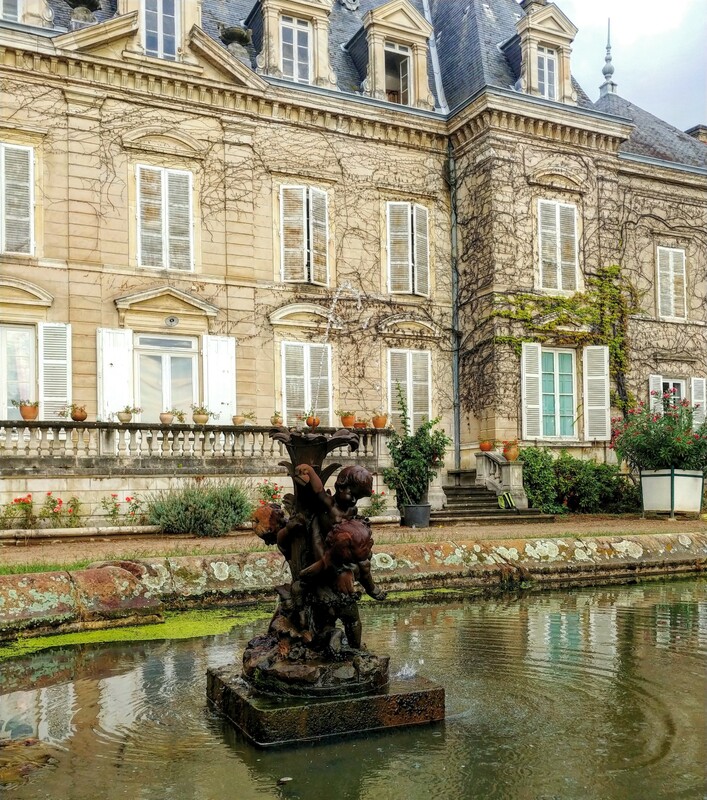 “It was not that we were gamblers”, Jean-Benoît quickly corrected our initial thinking after he stated that this original “hunting lodge”, Château de Nervers, came to his family to cover a gambling debt. 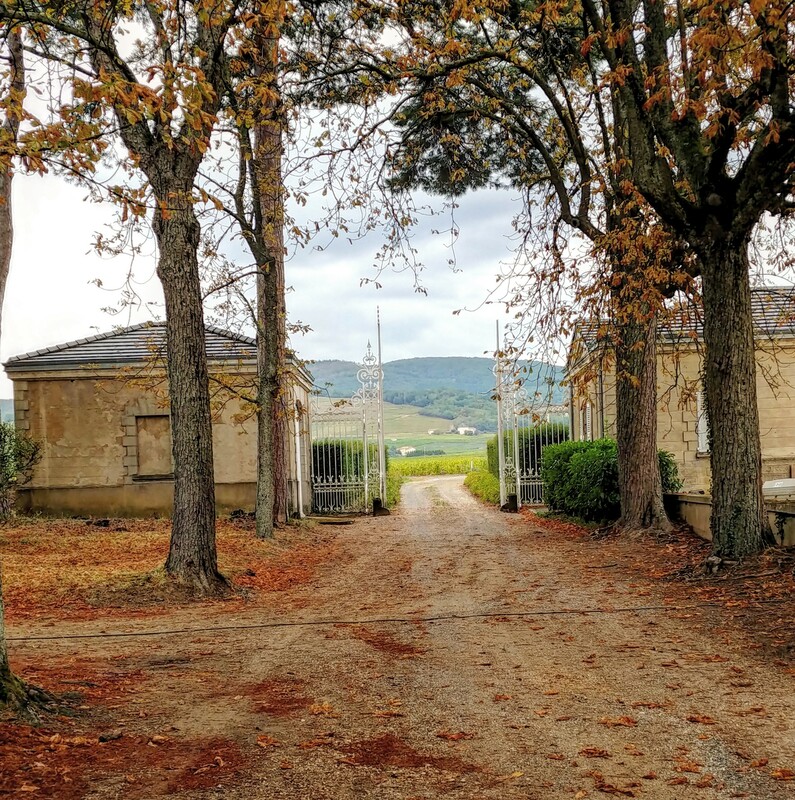 Jean-Benoît’s ancestors had a neighbor that owned a cluster of houses, châteaux, and acres upon acres of land that would be referred to as more of a compound today, called La Chaize. That neighbor had a serious gambling problem and needed to get a loan from Jean-Benoît’s family to cover his loses but eventually this man ended up gambling everything away and he gave Jean-Benoît’s family the hunting lodge I saw before my eyes, 10 houses and 124 acres (50 hectares) of wheat to cover a massive debt he had acquired with them. When Jean-Benoît was a child, he once visited the main castle of the La Chaize compound and he remembers distinctly going up the main stairs, where many portraits of the ancestors hung, and there was one facing the wall… the portrait of the gambler. Jean-Benoît said in the 1800s, one didn’t have people come over to his or her place for gatherings and so well-to-do families would have a different château all together (called their hunting lodge) for such social obligations. Of course, this was another time when people in the area had much more money. 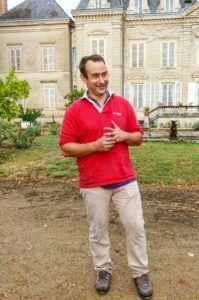 Jean-Benoît’s family were winemakers and so it made sense to replant much of the 124 acres (50 hectares) of wheat with vines – around 116 acres (47 acres) of vines are planted today. 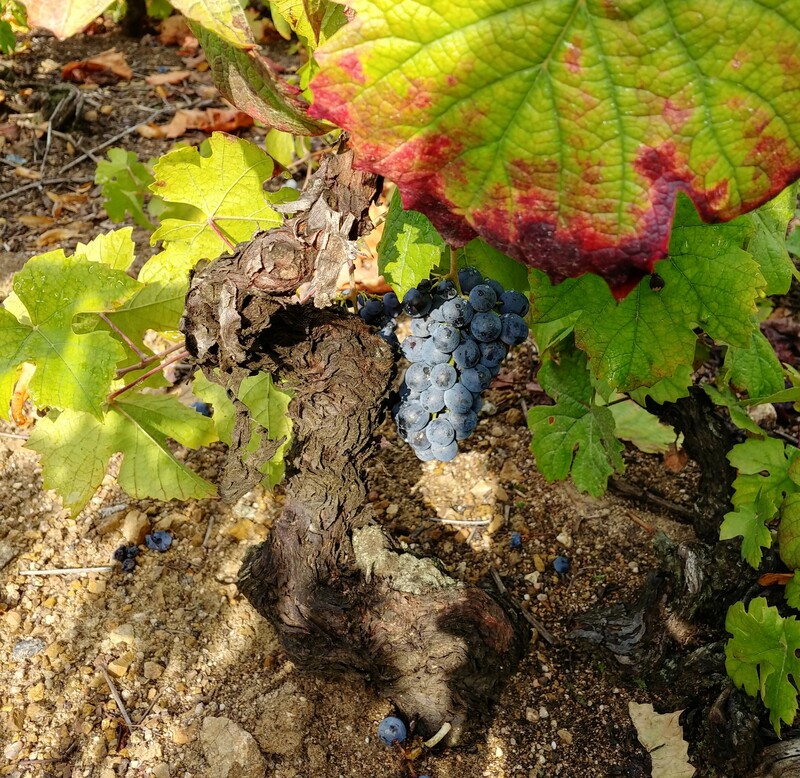 His family took over the estate in 1830, during the time when a pest called phylloxera was devastating vineyards in Europe; some of the earliest post-phylloxera vine plantings surround the château, ranging from 130 to 140 years old; these Gamay vines looked a lot younger (trunks were not as thick as you would think) because the soil is poor so the vines have a slower metabolism. Many times it is easy to look at the outside and think someone has it made in the shade, or that they have been given so much luck and life is a breeze. But the more that someone has, whether it is notoriety, a business, or a château, the more daily responsibilities and stresses that accompany such things. There are various challenges that one has to accept and manage in order to continue… one’s life is perhaps more fulfilled but it is certainly more complicated, and if one adds limited resources and cash flow, which would include most family wineries around the world, there are mountains to climb every day for such people that take on certain challenges of life. When I think about myself and others who have told me their stories… there seems to always be a fine line between making sure there is not too much stress but having enough challenges to give one purpose. That line will change as we go through different stages in our lives and the challenges we feel drawn to will alter in type and scope. For many years, I was content working behind the scenes – studying, researching, doing more than my fair share and many times taking over the obligations of others, and I was at peace that I did not want the greater responsibly of being the person in charge, or going off on my own. But as others took credit for my work while chipping away at my self-esteem, I guess to make sure to keep me down, I saw how I was enabling such a dysfunctional environment that harmed many others caught in the same repressive situation. In a way, I was forced to go off on my own, and there were many things that came with such a move that I really didn’t care for, but I wouldn’t change a thing because I could no longer be a part of a toxic world that I would help to sustain, day in and day out. 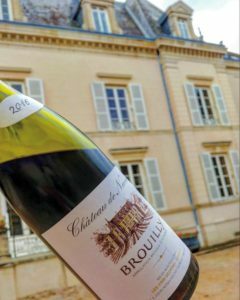 Jean-Benoît and his family could have taken the easy way out by selling the estate but then what would happen to the area of Brouilly? 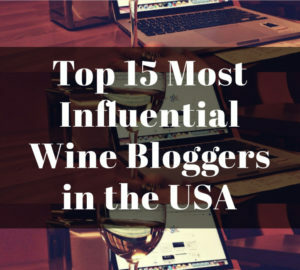 Or on a larger scale, the region of Beaujolais? Families like Jean-Benoît’s invested in the community (Jean-Benoît is on the council at his local city hall) and are preserving a heritage, a way of life, protecting other residences, and are key in sustaining this tranquil place. Georges Duboeuf, who has been distributing Château de Nervers since 1976, is a big part of making it possible for this family wine producer to continue to survive, as well as others such as Domaine des Rosiers, in the more northern part of the Beaujolais Crus, Moulin-à-Vent. 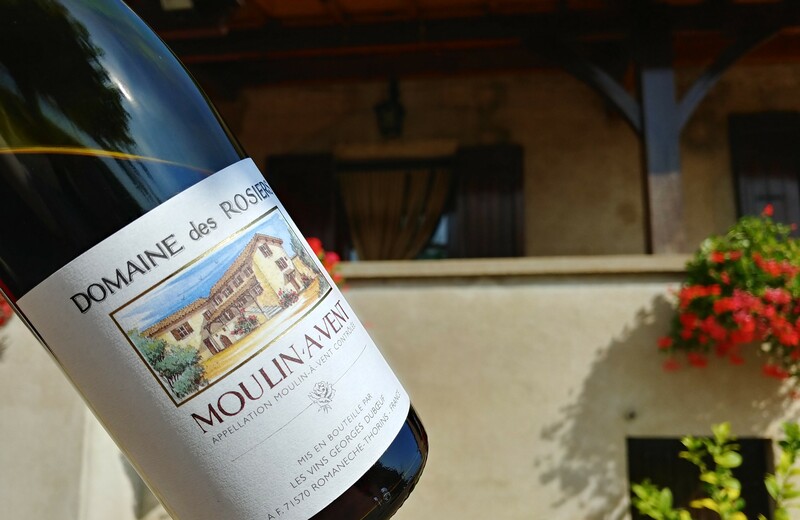 Domaine des Rosiers has been a long time favorite Beaujolais Cru of mine within the Moulin-à-Vent area; having legendary status as making some of the most long-lived wines with their high acidity. I was thrilled to meet the owner, Gérard Charvet, whose family has lived for a century in the surrounding area. 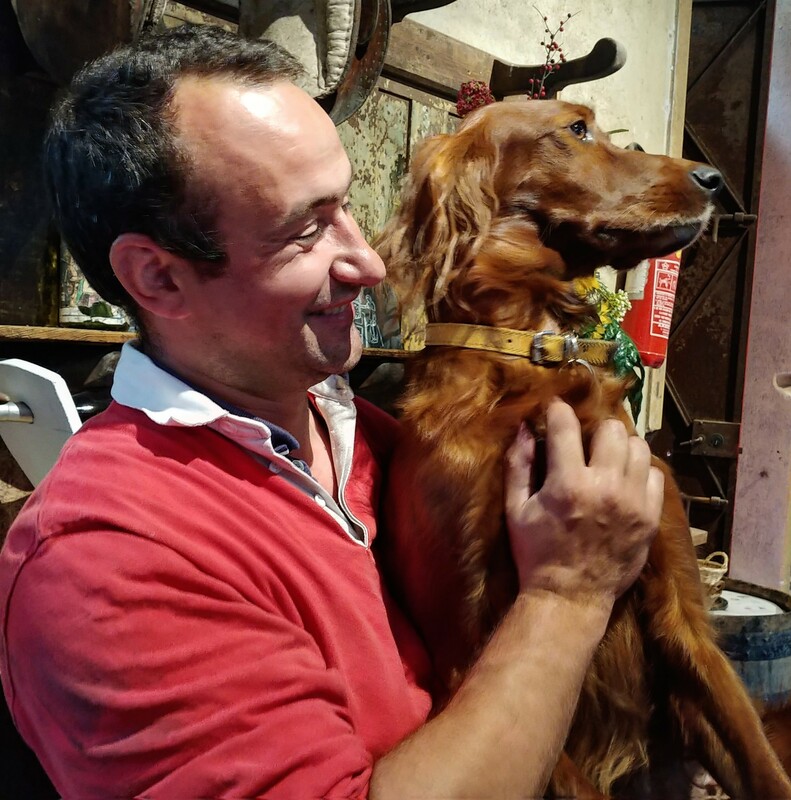 He was in the middle of harvest, like Jean-Benoît, but showed us around; I saw the charming house that was featured on his wine label – it was magic. But Gérard, who emanated kindness, was taken aback by the idea that I wanted a photo with him and that I was jumping for joy in front of his home. 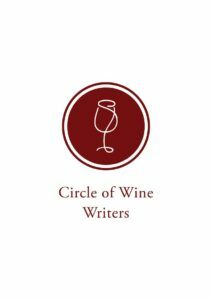 At the end of the day, he was a farmer that took up the challenge of keeping his family’s home, vineyards and winery alive with their spirits through his unending hard work and commitment. He had no idea how much of an effect he had on me, a wine drinker of Beaujolais Cru in the far off, contrasting world of New York City. In many ways, it is wonderful to have a life where we have the freedom to choose our paths – modern conveniences are making life easier, so we can step away from the challenges that scare us… because if we do not have the type of ego that needs to be in charge, then why do it? Well, that is probably one of the greatest reasons TO do it. Because when you have people who are running things for the right reasons, who are there for the benefit of all, taking consequences and accountability seriously, then that is when the world gets better. I think that is why some of us start to feel that deep inner void. We are first surprised because we were just the kinds of people who wanted to live our lives in peace… love, be loved, and cover the simple things in life. But then we see so many injustices, we see those precious things from our world disappear, and human decency slowly disappear. We feel like we have no control yet we know, deep inside, that we can be more active, we can be a part of putting ourselves out there for the world we are yearning to keep. 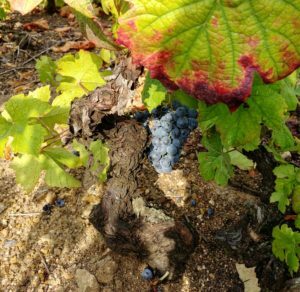 That is what Georges Duboeuf has been doing for 60 years with the Beaujolais wine producers who have all taken on the same challenges to fight for what they value… willing to sacrifice an easier life to do so. 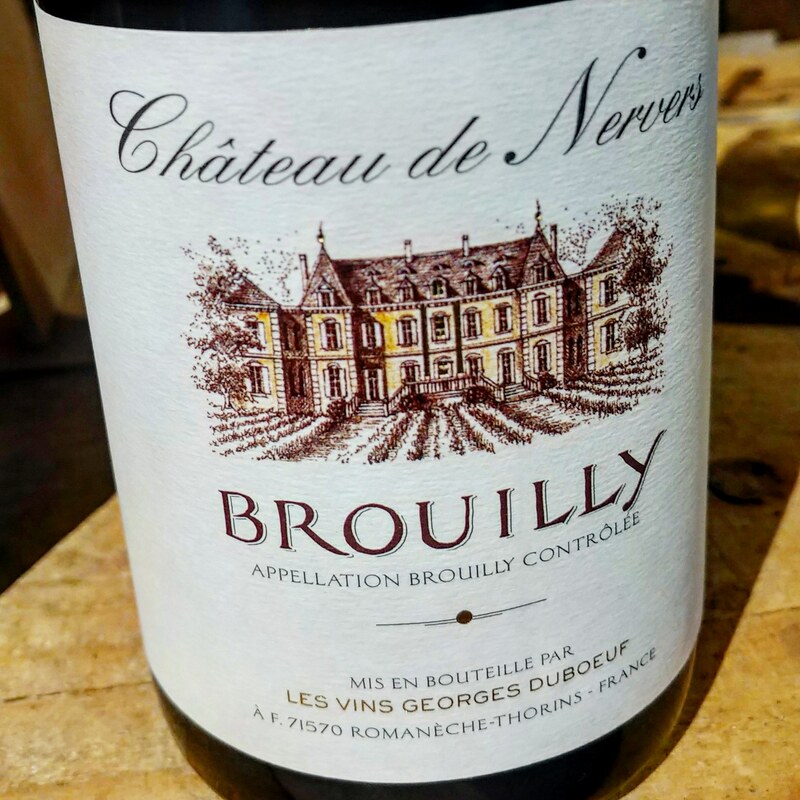 -2016 Château de Nervers, Brouilly Cru, Beaujolais, France: 100% Gamay. 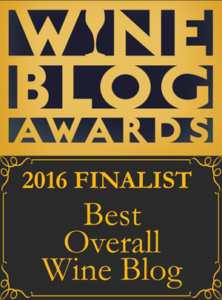 I really love how well the 2016 Beaujolais Cru wines are tasting right now. 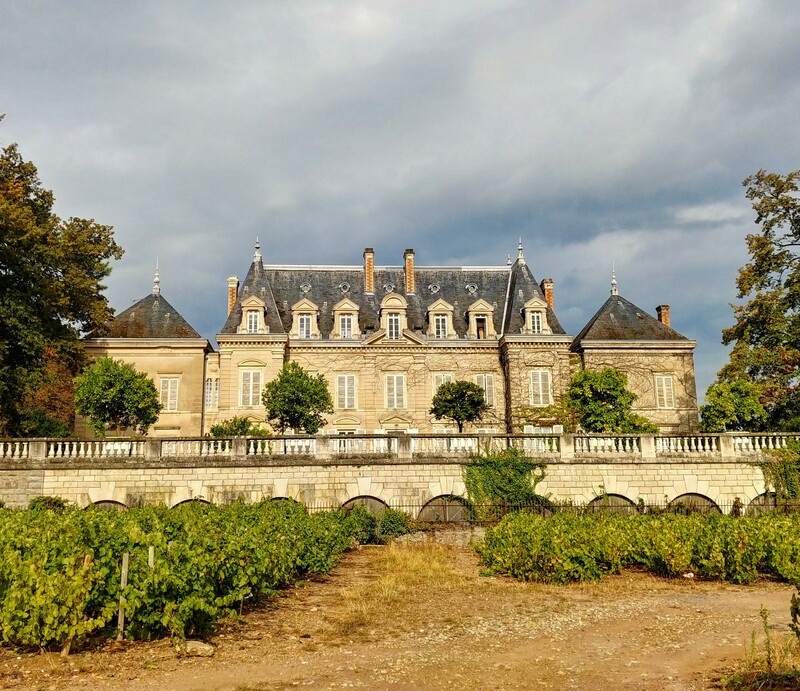 A more classic vintage with lovely aromatics that was expressed in this Château de Nervers. Sweet red fruit with a perfume-y nose that danced in my head as the beautifully shaped palate made my mouth water. -2015 Château de Nervers, Brouilly Cru, Beaujolais, France: 100% Gamay. 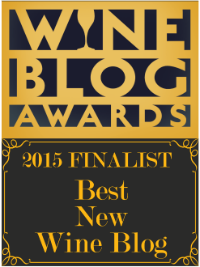 The 2015 is a great vintage that seems to need time at this stage to integrate the tannins and for the wines to open. This 2015 had grip to the tannins with deep concentration that had hints of dried herbs and a long lasting kirsch flavor. 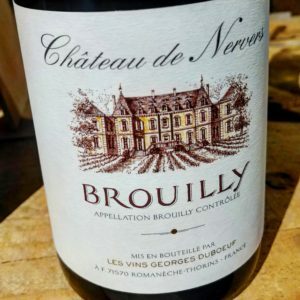 -2011 Château de Nervers, Brouilly Cru, Beaujolais, France: 100% Gamay. Jean-Benoît wanted to show us how his Brouilly wines could age with this 2011. 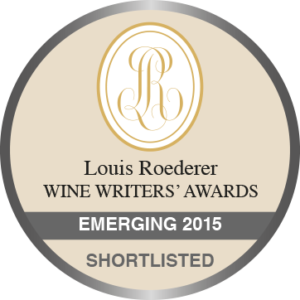 Pressed lilacs with ripe strawberries and overall finesse with fresh acidity and a long expressive finish. 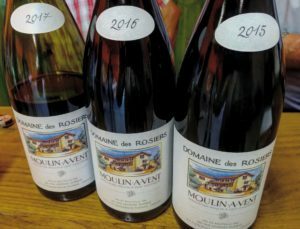 2017 Domaine des Rosiers, Moulin-à-Vent Cru, Beaujolais, France: 100% Gamay. Juicy fruit with firm yet lacy structured tannins that had a purity of black cherries that danced across the linear body. -2016 Domaine des Rosiers, Moulin-à-Vent Cru, Beaujolais, France: 100% Gamay. Smoky minerality made this an enticing wine with exciting energy on the palate that finished with dried autumn leaves and freshly picked red cherries. -2015 Domaine des Rosiers, Moulin-à-Vent Cru, Beaujolais, France: 100% Gamay. 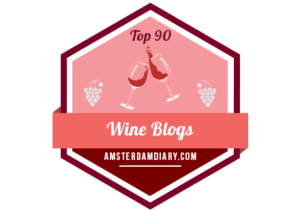 This 2015 surprisingly had velvety tannins that were generous and inviting, unlike so many 2015s from this great vintage. It was quite enjoyable right now but will probably still make great bones with marked acidity, intense richness of flavors and complexity. This entry was posted in Uncategorized and tagged Beaujolais, Brouilly, Brouilly Cru, Challenges, Château de Nervers, Dame Wine, Domaine des Rosiers, France, Gamay, Georges Duboeuf, Moulin-à-Vent, Red Wine, Wine, Wine Tasting, Winetasting. Bookmark the permalink.